Where have I been? 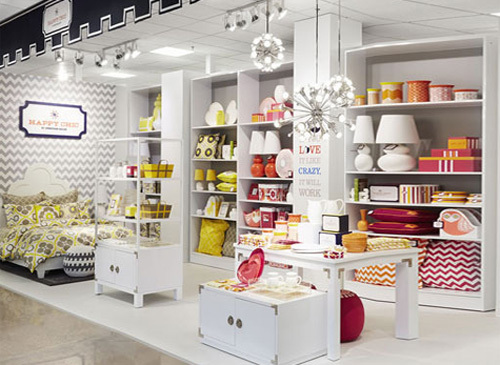 I had no idea Jonathan Adler recently launched an entire home collection with JCPenny! 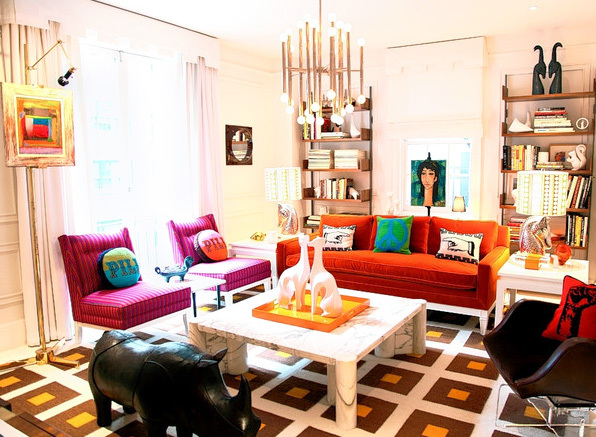 "Happy Chic by Jonathan Adler fuses colorful patterns, great design and quality at affordable prices in a glamorous new collection that mixes classic design and current trends." If you're a fan of Mr. Adler's work but can't quite afford it for your home, this line is an excellent alternative! His signature pillows range from $32 - $50, perfect for someone like me who's obsessed with pillows and likes to change them out frequently. 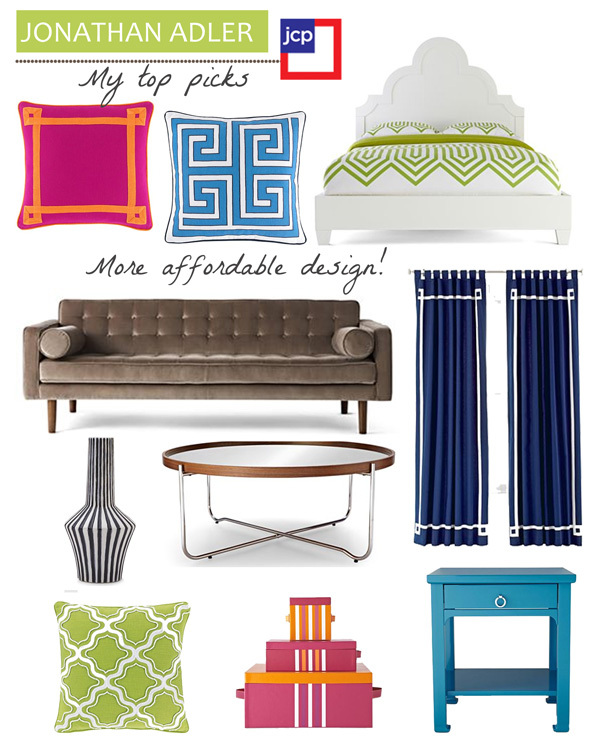 Check out some fabulous items that caught my eye below. What's got you feeling "happy chic" from this collection? Go here to see everything! Click here to view the entire collection with details on the items above.